Reflecting the constancy and change of a five album solo catalogue dating from 2004, Melbourne's Tim Guy has assumed the alias Steady Garden for an eponymous new album. 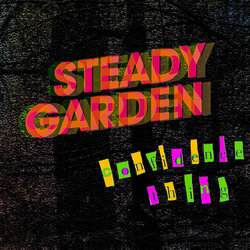 Steady Garden signals a shift away from familiar comforts into a phantasmagoria of urban unrest rippling with light, airy funk. Recorded in Thornbury by Tobias Priddle, Confidence Thing is the third single released from the upcoming album. With a James Bond-esque opening guitar riff that evokes memories of old school spy movies, Confidence Thing harks on feelings of inadequacy in a world of ego driven madness.